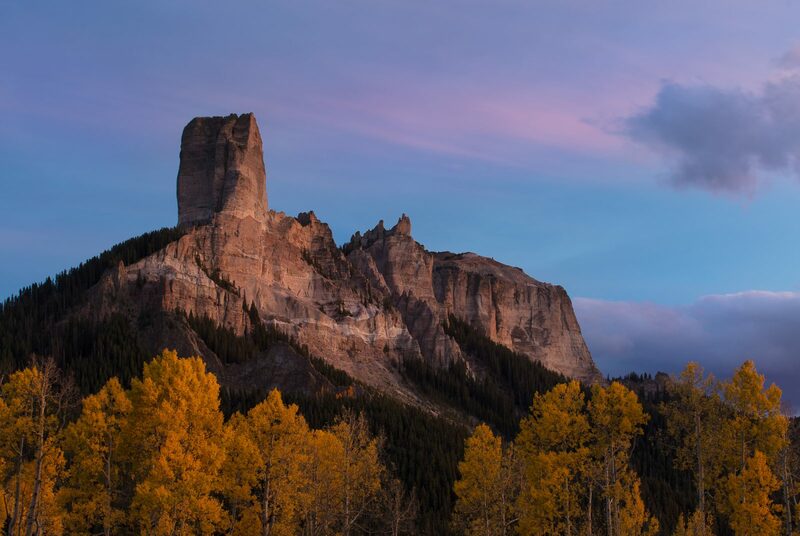 Home / Assignment #351: Fall Color 2018 / Chimney Rock..
After the Sunset a beautiful soft glow of light developed at the spot know as the True Grit View.. I opted to focus on Chimney Rock and left the ground out completely. Keeping the tops of fully colored aspens as the FG/bottom of the image to maintain the fall feel.